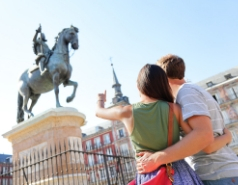 The Puerta de Toledo gate was built to commemorate the arrival in Madrid of Fernando VII, 'the Desired One'. 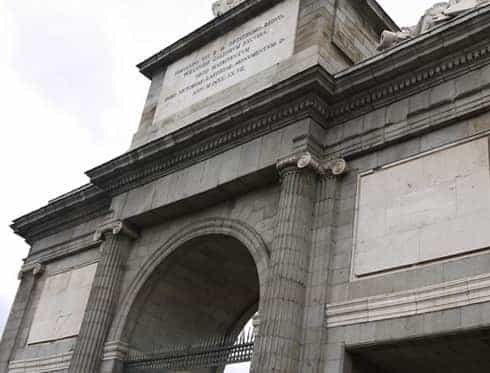 It appears that the project for the gate was carried out under the reign of José Bonaparte, although the return of Fernando VII to the throne put it on halt. With three arches, two lateral square arches and one central semi-circular arch, the Puerta de Toledo has openings flanked by half-columns with Ionic capitals in the central arch and Ionic pilasters in the others.